KNAC.COM - Reviews - BUTCHER BABIES Live In Kent, OH With Photos! 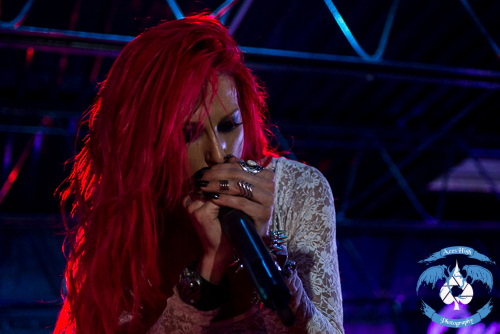 BUTCHER BABIES Live In Kent, OH With Photos! 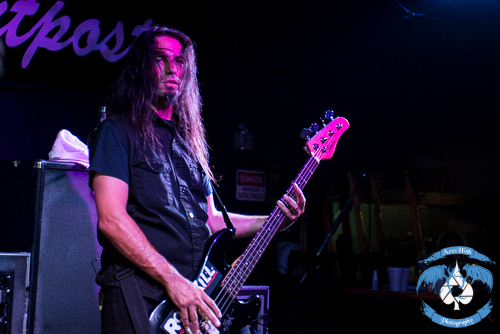 Just before joining forces with GWAR for the first leg of their 30th anniversary tour, BUTCHER BABIES made a pit stop at the Outpost Concert Club in Kent, OH. With their latest release, Take It Like A Man, just days old; it was an opportunity for the LA-based quintet to showcase their new material with a headlining set. I will be completely honest with you. I, like many others, saw the BUTCHER BABIES as an average metal band attempting to cash in on the exceptional good looks of their frontwomen, Carla Harvey and Heidi Shepherd. Although there is no denying their attractiveness, I can now say that I am glad I caught them live, because there is so much more to this group than what meets the eye. The band, who credits Wendy O. Williams as a huge influence, is rounded out by Guitarist Henry Flury, drummer Chris Warner and bassist Jason Klein, who all made their way to the stage first; tearing into the opening riff of “Monsters Ball”. They were quickly joined by Carla and Heidi as they raced onto the stage in a blur of blue and red hair. Their coordinated attack of alternating screams and verses was precise. Carla offered up more of the low-end verses and growls, while Heidi provided the ying to Carla’s yang with high-pitched screams and clean vocals. The traditionally weak house lighting and stripped-down stage set without even a backdrop was more than made up for with the tenacity and ferocious energy that the band brought to the stage. Carla and Heidi often reached out into the audience with the microphone for crowd participation and guitarist Henry Flury was always moving across the front of the stage. In the past I have given kudos to the bands that can pull it off in the live setting. Anything is a possibility in the studio with the aid of pro-tools and yes, I realize that you have to first have good songs, but if a group can’t bring it to the stage, I lose interest. There is no doubt in my mind that BUTCHER BABIES can bring it. There is something very raw and almost punk-rock about the BUTCHER BABIES. It comes through on the new record, but it is evident 10-fold onstage. It was the kind of intimate show where the fans are so close to the stage it is kind of tough to tell where the stage ends and the crowd begins – the kind of environment that BUTCHER BABIES thrived on and fed off of. With only two full-length albums and two EPs to their name, the BUTCHER BABIES got right down to business, diving into the brand new material including, “Never Go Back”, “Blood Soaked Hero”, “Igniter” and my personal favorite, “The Cleansing”, among others. It was an intense, tight and explosive night. Be sure to check them out as they hit the road with GWAR as well as hitting a few headlining off-dates.